REVOLUTION BEAUTY JUST KEEP ON DELIVERING! So I know that it has been a very long time since I have uploaded a blog post - in fact it has been over two months and I just want to say a big sorry for really not keeping up with my blog. I am planning on writing a whole blog post about where I have been and why I have not been able to upload on my blog for a while (which will be coming in the next couple of weeks). However, I am back and ready to carry on blogging and reviewing makeup, as well as expanding this blog to other categories. This was a blog post that I was planning on uploading a month ago, but I am only just getting round to writing it now. But, as both products are still in stock, I thought I can still upload my review as I have been using them for the last couple of months. Revolution Beauty is a brand that I have only come to love in the last year or so; I used to buy their products because they were not as expensive but I never ended up wearing them. They would usually just sit in my makeup drawers and I would never find myself reaching for them. However, in the last year Revolution Beauty have really stepped up their game and the products that they are bringing out are amazing quality and are products that I reach for time and time again. In fact, I have mentioned this brand multiple times in the last year because I love their products. Recently, Revolution Beauty just keep on bringing out new products and collaborations - I feel like there has been so many collaborations recently. Many of them I have not purchased because they just looked like palettes that I already own but when I saw these palettes with Imogenation (or Imogen Hudson), I knew I wanted to get my hands of both palettes. I will admit that I did not have a clue who Imogen was and I do not watch her YouTube channel but these palettes are stunning. The eyeshadow palette was released with 20 eyeshadows and then the Highlight to the Moon palette was released which has 9 contour and highlight powders in. Both the eyeshadow palette and the highlighting palette retail for £10 each (a bargain in my eyes). They can be purchased from Revolution Beauty, Superdrug and BeautyBay. I love the packaging that has been used for these palettes - the iridescent lilac packaging is stunning and I love the shift from lilac to pink. 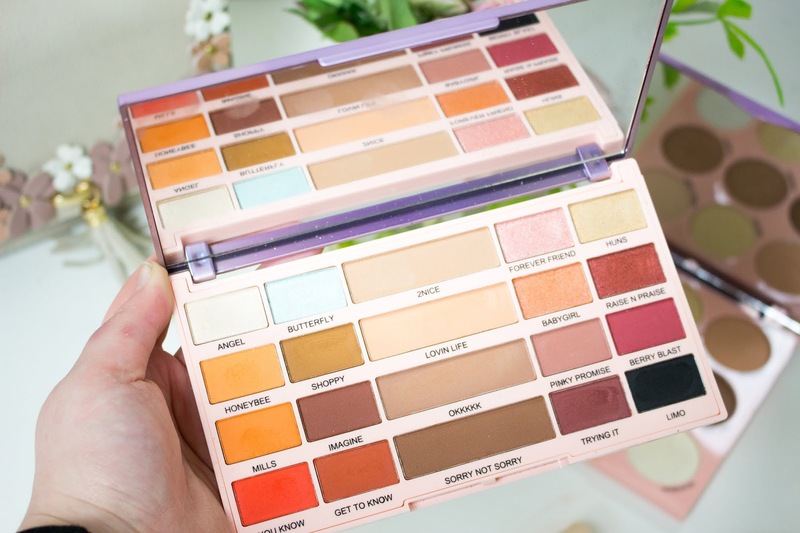 Both palettes have the name shades printed on the actual palette (which is something that Revolution Beauty have been doing more and more of). They also have large mirrors in them making them perfect to travel with. They are also both great sizes and you get so many shades that are fairly big pans. I feel like the quality of Revolution Beauty eyeshadow palettes just get better and better with every palette they bring out. In this palette there are 20 eyeshadows with either a matte, metallic or satin finish. 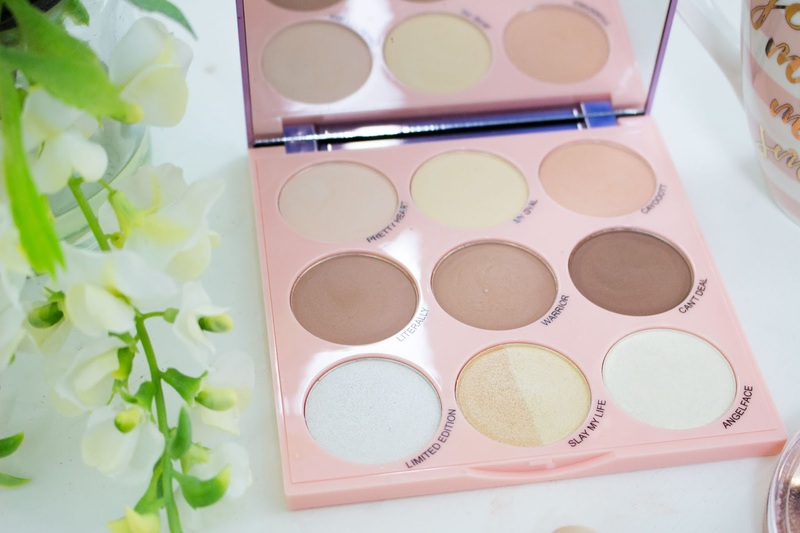 When I first saw this palette I was instantly drawn to it because it has my favourite warm toned neutral shades in. This palette is full of warm browns, caramels, oranges and reds and I am obsessed. There is a pop of bright red and a gorgeous ice blue but they are still wearable even though they look bright. I love the fact that there are four huge pans that are transition shades; often I will find I hit pan on transition shades first because they are the ones I reach for every single day, so the fact they have thought about increasing the pan sizes so that is not going to happen as quickly, is greatly appreciated by me. In terms of formula, these shadows are probably my favourite Revolution Beauty shadows of all time - they are buttery, smooth and are so pigmented. Often you find that matte shadows are not as great as shimmer shadows for colour payoff, but that is not the case with this palette. It is so easy to get pigment onto my brush and create a flawless look that is simple, yet glamorous. The metallic shades are stunning in this palette and are not full of glitter chunks, instead they look like a foil and are perfect to wear either alone or with MAC Fix+ for added intensity. I do not seem to suffer with any fallout from these shadows, and the fact that there are so many highlight shades is amazing. Butterfly is the ice blue shade and although it looks really bright in the pan, it is actually more of a white highlight with a blue shift and looks stunning in the inner corner. The shadows are easy to blend and have such great colour payoff. Some might be a bit more sheer than others but I found it really easy to build up the pigmentation. 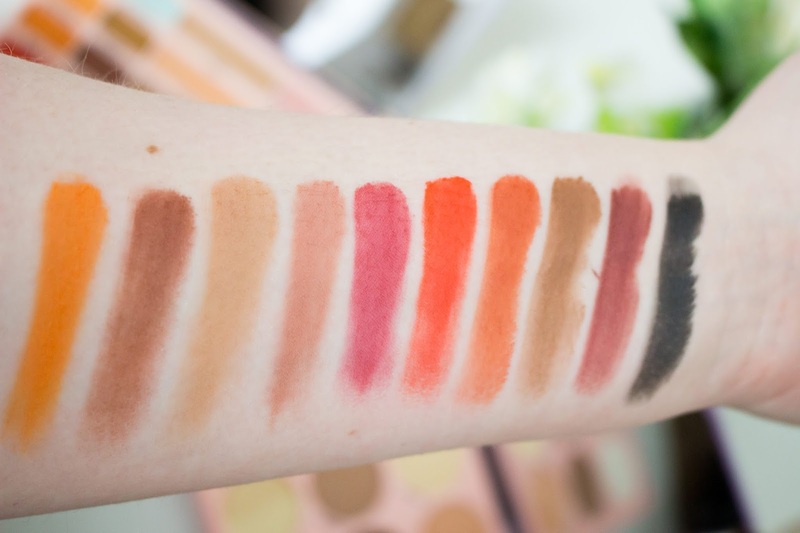 All of the shades are stunning and are wearable on all skin tones. I think this is the perfect starter palette for anyone who wants to build up their collection or for anyone who wants a stunning palette that does not cost a fortune. All I would say is that I wish they had included a matte highlight shade as I do not always want a metallic highlight but that is my only complaint. 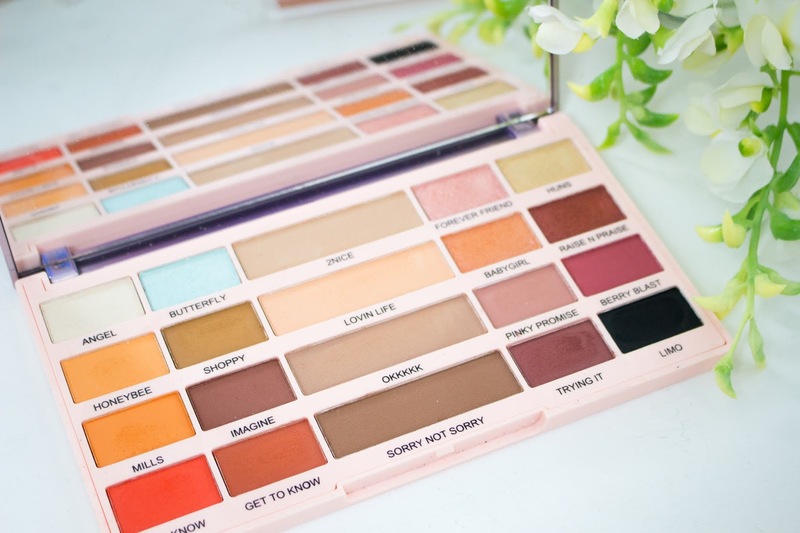 The eyeshadow palette retails for £10 from Revolution Beauty, BeautyBay and Superdrug. When I first heard the name of this palette, I assumed that it was going to be a palette full of highlighters, so I was happy to see that there were some contour shades included as well. There are 9 shades in total; three setting powders/matte highlights, three contour shades and three metallic highlighters. I will admit that this is not a palette that I reach for that often because I do feel like this is more of a palette for someone with an olive/tanned skin tone. 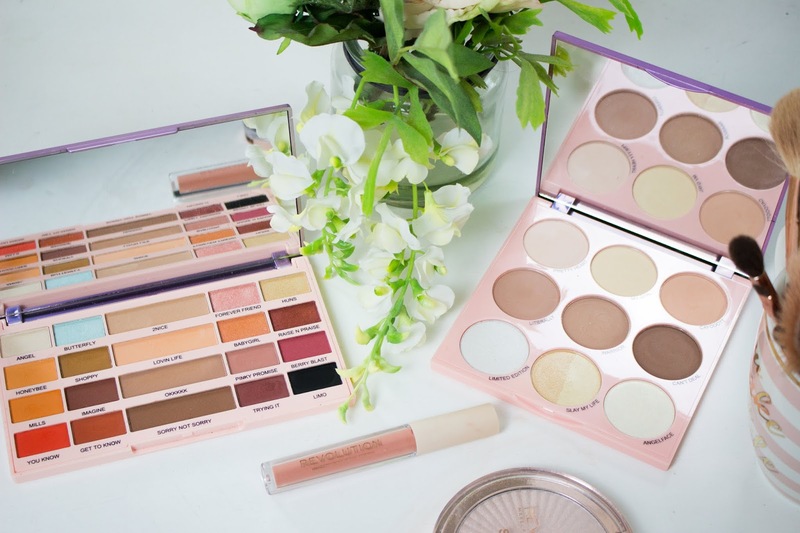 But I do use this palette when I am travelling because I can use it for multiple products - I use some of the contour shades as eyeshadows and brow products, I use the shade Pretty Heart as a setting powder and then I will use the highlighters to highlight. 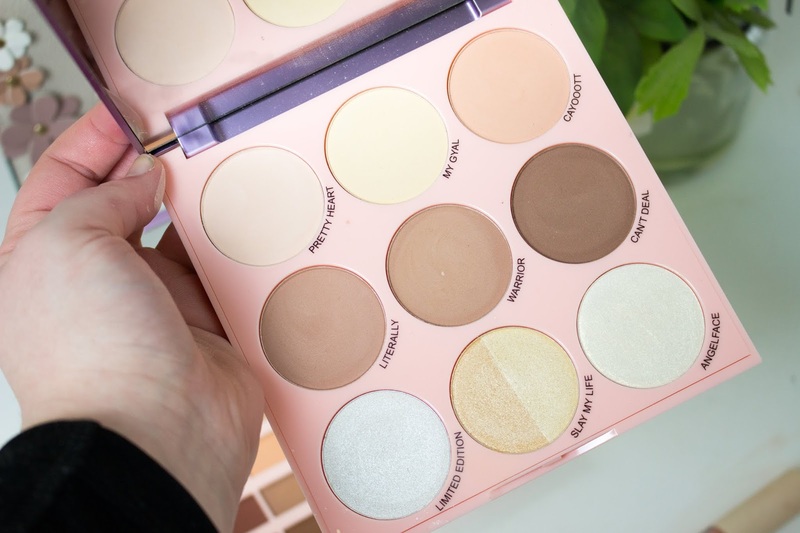 My most used highlight out of this palette is Limited Edition because it is a beautiful white highlighter that is perfect for fair skin, although it is only a shade I can use when I am at my fairest. The shade Slay My Life is stunning when I am more tanned and is a beautiful pale gold shade. I feel like the setting powder Cayooott is a pale bronzer on me when I am really fair and reminds me of Hoola Lite but more warm toned/peach. The formula of these shades are beautiful; they are smooth and buttery and blend beautifully on the skin. They do not swatch great but when applied with a brush they look stunning. 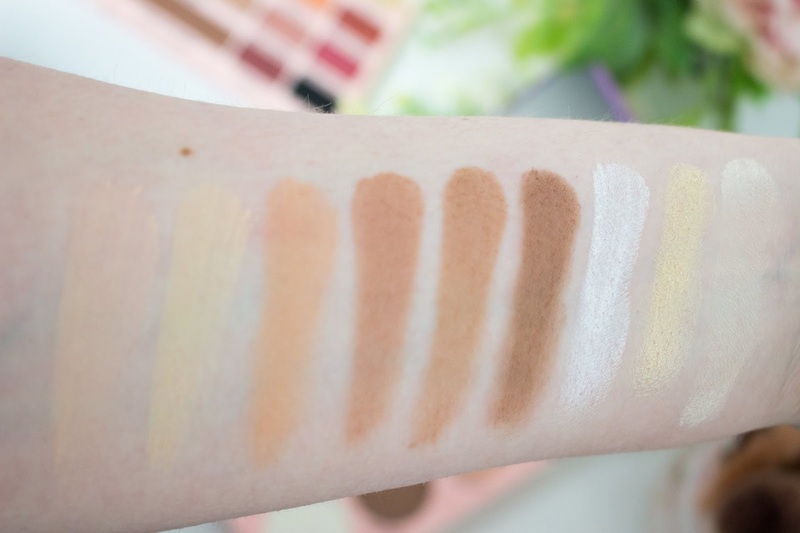 I don't use the contour shades as contour because they are too warm toned for me and are more suited for someone with a tanned to deeper skin tone. I think this is a stunning palette and the bottom three highlighters are gorgeous. They are so pigmented and just reflect the light so beautifully. 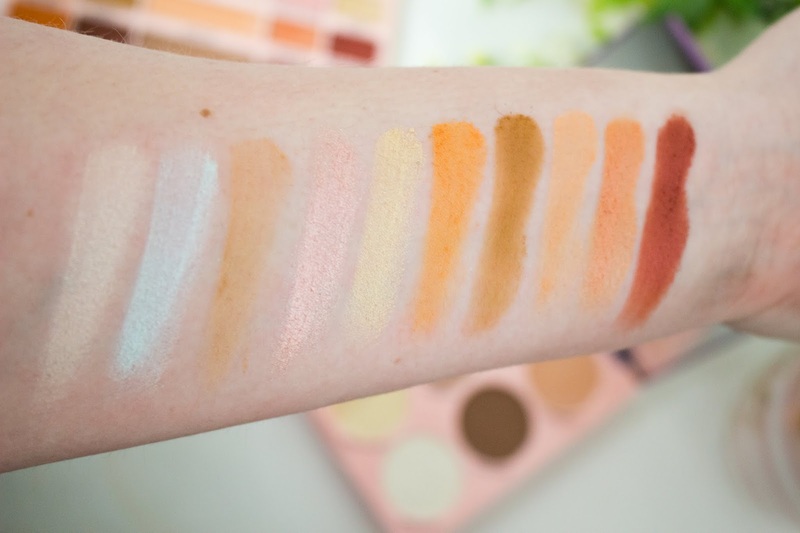 I think this will definitely be the perfect palette for someone with a tanned complexion as it is more of a warm toned palette, but I can make it work for my fair/light complexion. This is a stunning palette and is definitely a palette I want to reach for more. The Highlight to the Moon palette retails for £10 from Revolution Beauty and Superdrug. Let me know in the comments if you have these palettes and what your thoughts are? Are there any other palettes that you love from Revolution Beauty? What other collaborations would you like me to review soon?